ZEN is a programmable realy by Omron ,used mostly in small scale applications where limited I/O's are there. ZEN features very good functions like Weekly timers and Yearly Timers. Also the one of the advantage is that we dont have to carry laptop to site to do its programming. As ZEN plc comes with 8 operation buttons through which plc logic can be developed. So it proves beneficial in all cases where carrying laptop is not an option. ZEN plc programmable relay comes with 8 operations buttons for easy programming. Although the plc logic can be made in ZEN Programming software and downloaded in ZEN , but sometimes due to unavailability of programming cable or laptop the plc logic can be made with these operation buttons. than this can be done with "ESC" button. The last button is "OK" which Confirms the setting. So with these operation buttons plc logic can be made easily in ZEN programmable relay. Still if you need any help you can write to us in comment sections. 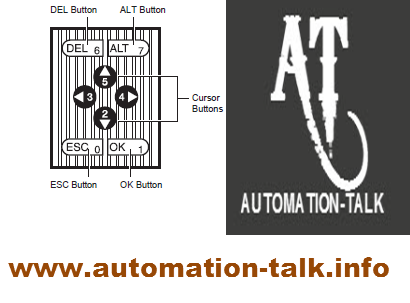 Also you can subscribe to get all latest updates on plc programming and scada tutorials though e mail.